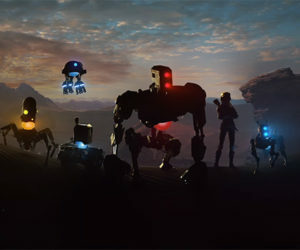 The PlayStation Store's PLAY campaign has featured various critically acclaimed titles such as Journey, Counter-Strike: GO, Rogue Legacy, and much more. The PLAY 2016 lineup will be now exception. 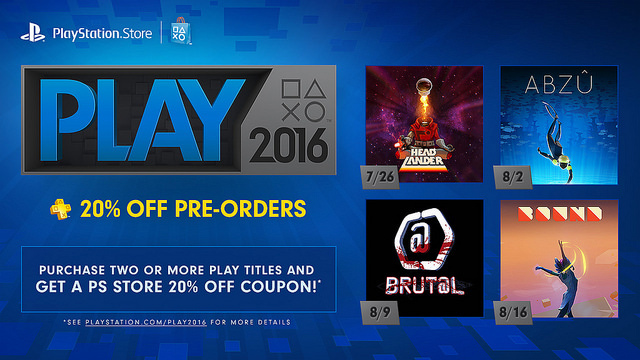 Available for pre-order now, the PLAY 2016 lineup includes: Headlander, ABZÛ, Brut@l, and Bound. PlayStation Plus members will save 20% on pre-orders for these titles and each comes with an exclusive PS4 theme as well. As an added bonus, anyone that purchases two or more PLAY 2016 titles by August 23rd will receive a coupon for 20% off their entire cart purchase at PlayStation Store. Check out the trailer below for a preview of the four featured titles.